Why isn't there more noise, buzz around brilliant Jan Oblak? The morning after the night before. In one half of Madrid there are some very sore heads, and who can blame them? Atletico have been waiting since May for this. After edging out rivals Real 1-0 to win the Spanish Super Cup on Friday night, it is time for the domestic champions to celebrate again. - #FCdebate: Are Ronaldo's injuries cause for concern? - Lowe: Can Atleti repeat as champions? 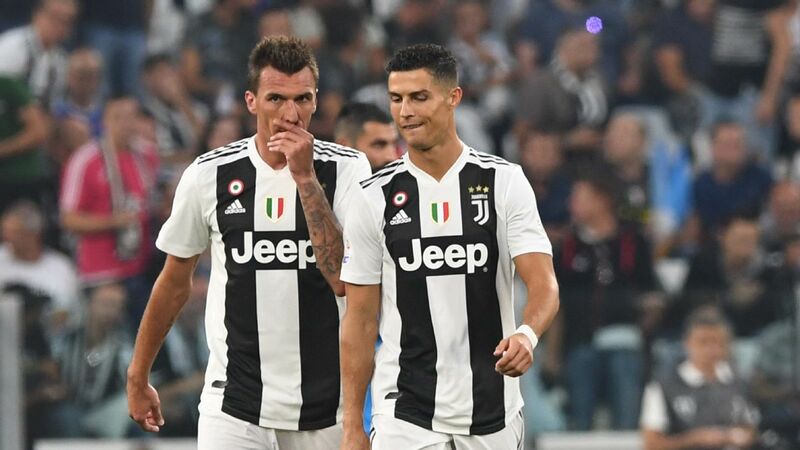 First of all, take a bow, Mario Mandzukic. Netting after 81 seconds -- the fastest-ever goal in the tournament -- was a wonderful way to introduce yourself to your new home crowd. The warning signs were there for Real Madrid, though: After 30 seconds, a last-ditch tackle from Raphael Varane stopped the Croatia international from running clean through on goal, but there was little anyone could do less than a minute later. 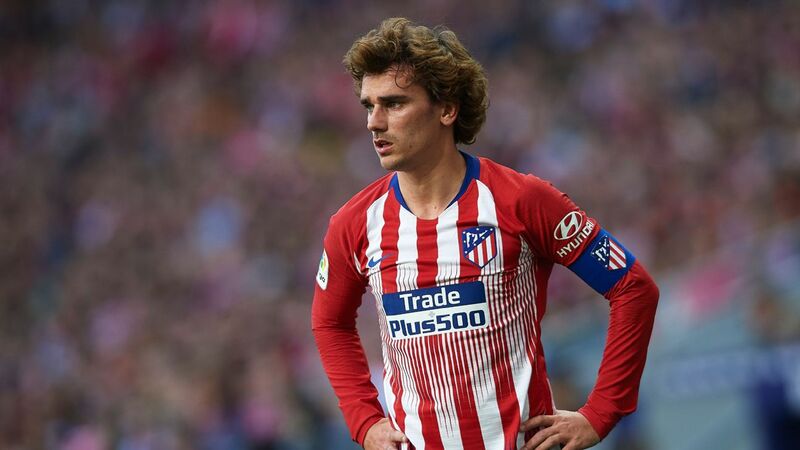 It was a sight that all Atletico Madrid fans had dreamed of seeing, Antoine Griezmann and the former Bayern striker combining to down old foe Real Madrid. In Atletico's first home game since winning La Liga, Griezmann -- all 5-foot-6 of him -- rose above Sergio Ramos to play in his fellow new-boy with a deft header, and Mandzukic made no mistake. 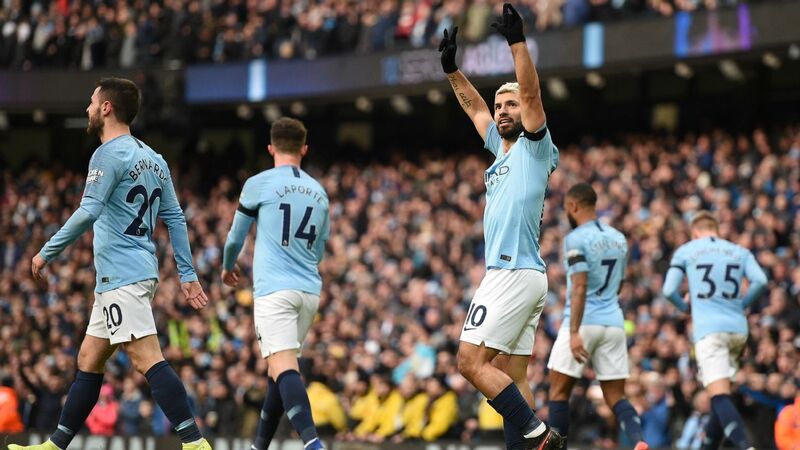 If ever there was evidence that money cannot buy you everything, Friday's game was it. Indeed, the night started with a combination of good news for Los Rojiblancos that want-away pair Angel Di Maria and Sami Khedira had been left out of the Real Madrid squad, alongside the fact that Iker Casillas -- far from his former self -- was given the nod ahead of new arrival Keylor Navas in goal. Real Madrid's latest Galactico, James Rodriguez, who did play, became more and more involved as the game went on, but a combination of profligacy in front of goal and Atleti goalkeeper Miguel Angel Moya, who with each game is looking more and more like a shrewd signing, denied the Colombian. 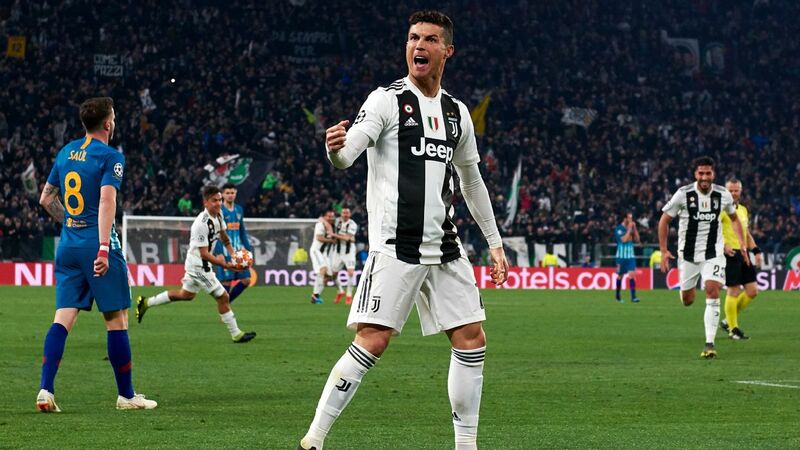 It must have been great then, for Carlo Ancelotti to turn around and send on the -- admittedly slightly injured -- reigning Ballon d'Or winner Cristiano Ronaldo. Any manager would love to have that option, but it meant nothing. 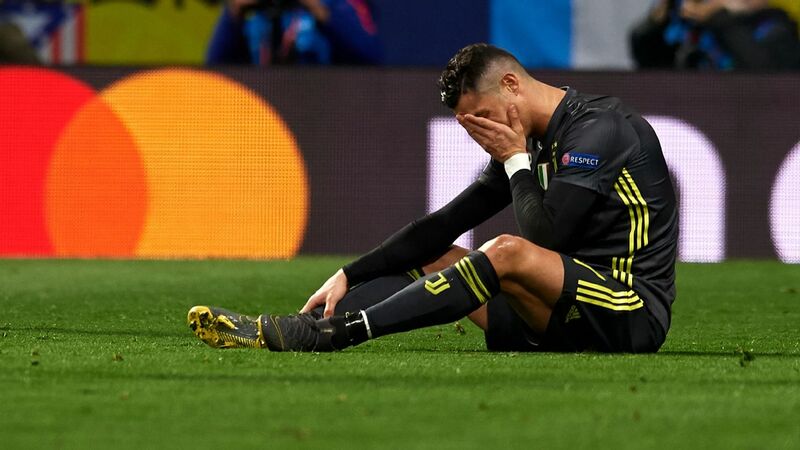 The Portuguese could not contribute sufficiently to harm Los Colchoneros, and (whisper it) the visitors actually looked more limited with Ronaldo on the pitch and Rodriguez in a withdrawn position. 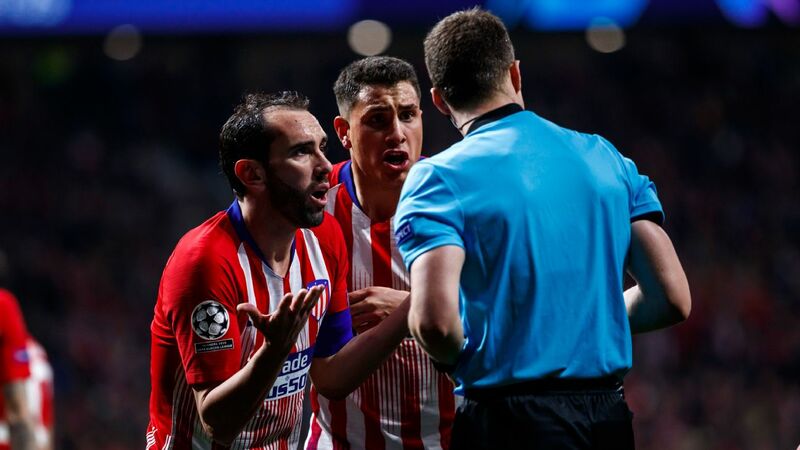 One thing that is sad for Atletico is that, yet again, the headlines will be dominated by a refereeing decision. Fortunately, in this case it didn't decide the outcome of the game. 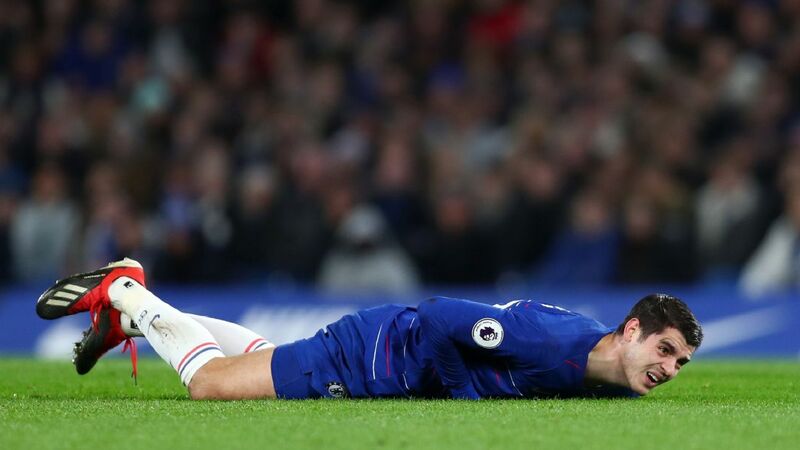 Sergio Ramos, who covered more ground chasing the referee over the 90 minutes than he did tracking Mandzukic, had been let back onto the pitch a matter of seconds after hobbling off with a potentially serious injury. Nothing wrong there. 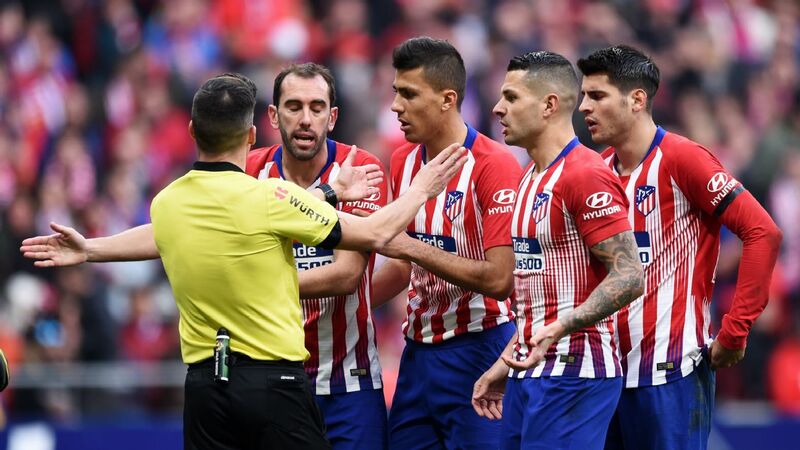 However, when Juanfran took a blow to the face that caused a bloody lip, the referee waited minutes before allowing him to back into the frame, and in that time James had an effort cleared off the line. 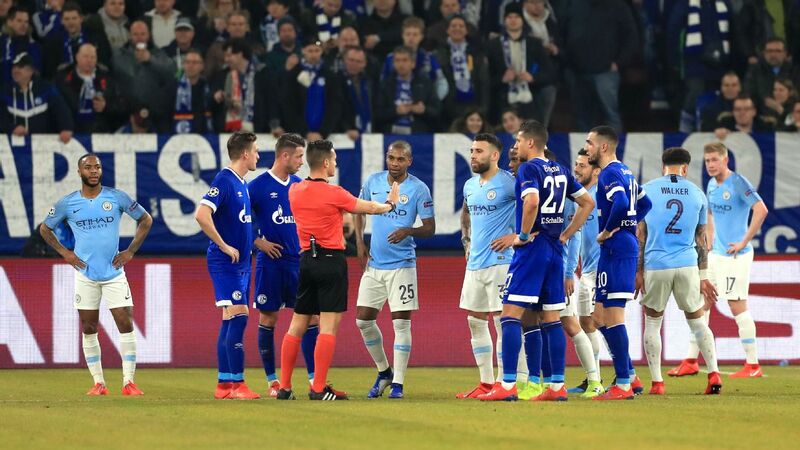 Diego Simone, it is fair to say, was not best pleased and tapped the back of the fourth official's head twice. The Argentine coach was ordered from the technical area, but the fans took over to get behind the team. 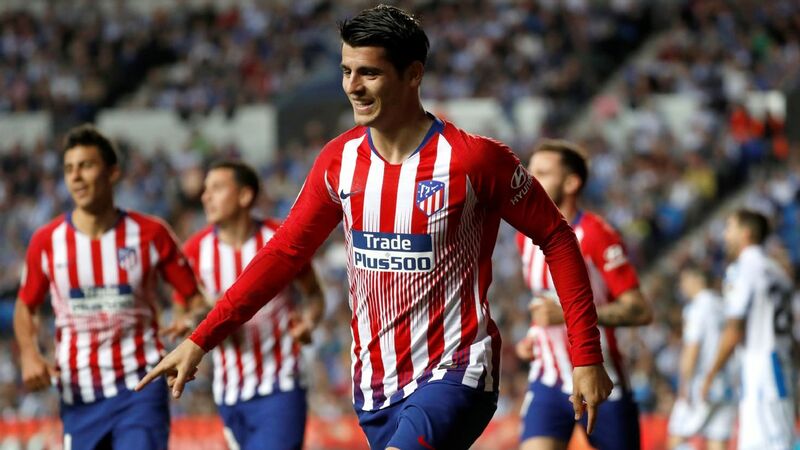 The Calderon was electric; to a man, the entire crowd contributed and Simeone even emerged for the second half in the stand directly behind the dugout, prowling up and down the front row, barking orders at the players and assistant coach Mono Burgos. 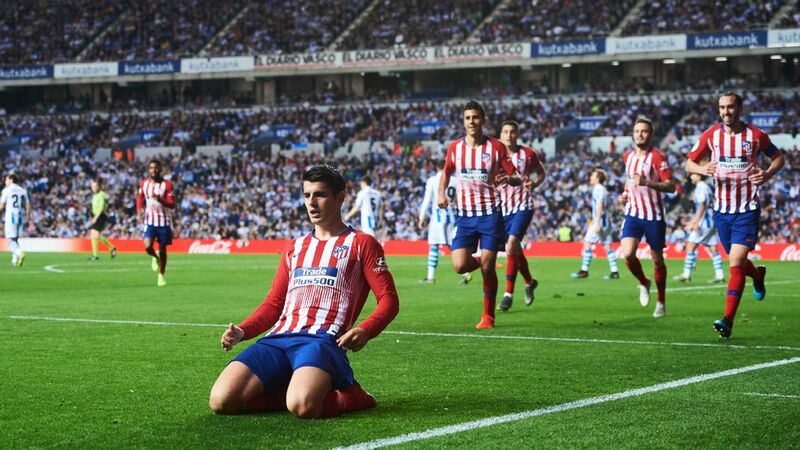 This discrepancy should not count against an Atletico Madrid team that showed more heart, determination and desire than their more illustrious opponents. Atletico also had by far the game's best chances: Raul Garcia, who over the past 12 months has gone from burly midfielder to genuine potential Spain international, had the best chance when he escaped Fabio Coentrao's clutches before heading over the crossbar in the final minute of the first half. Garcia's flick from a Koke set piece later crashed against the underside of the crossbar before being scrambled away by Casillas. Griezmann, who fought hard with Mandzukic for the man of the match award, was irrepressible in the second half. The areas of the pitch he took up were inventive, his decision-making was good, and his turn of pace swift. If the Frenchman can work on his finishing, Atleti have a real star in the making. 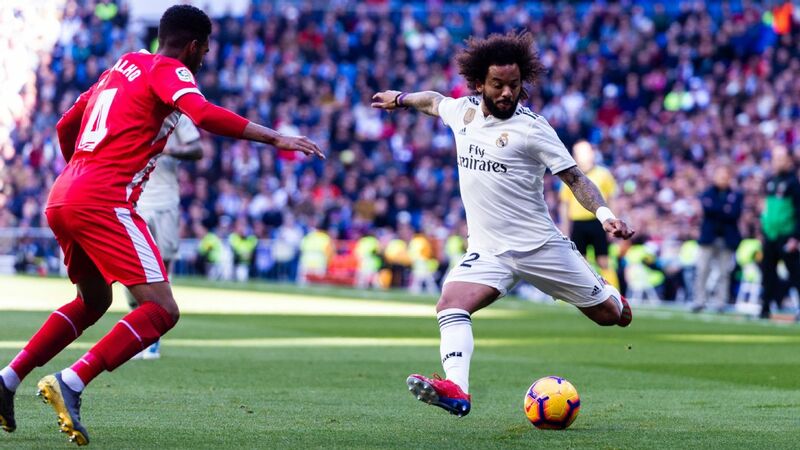 Petulance set in for Madrid, as it tends to when things do not go their way, and Luka Modric saw red for a second bookable offence in the dying moments. 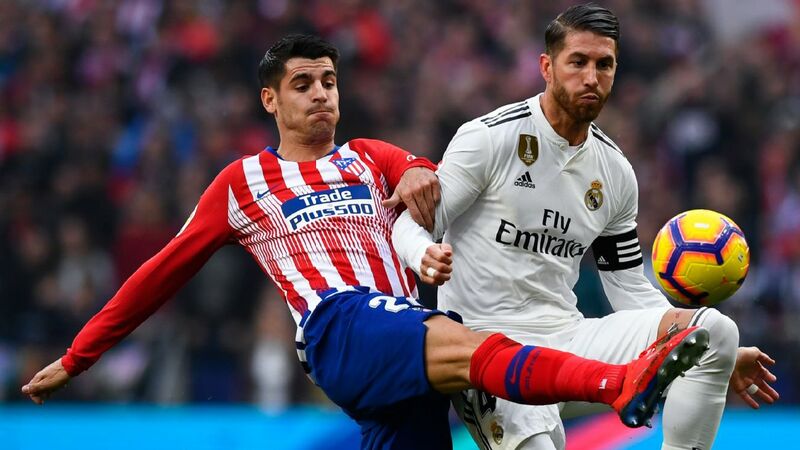 And hearts were in mouths as Ramos rose to meet a cross from the impressive Dani Carvajal seconds later -- evoking bad memories of Lisbon's UCL final pain -- but the defender failed to connect and there were cheers all over the Calderon. The game was done. So Atletico have struck the first psychological blow as they prepare for their La Liga title defence. Now the hard work for Simeone & Co. really begins, starting Monday at Rayo.